Creed McGregor is an accomplished self publishing author whom's interests include meditation, manifestation, affirmations, law of attraction, universal law studies, mysticism, positive thinking, mental toughness, creating wealth and abundance and being in touch with nature the way we were intended to be. <br /><br /> Creed loves sharing his knowledge with others through writing and communication. Helping others and changing even one person's life is worth all the time and effort he spends writing and blogging about the things he loves and uses daily to make his own life more successful. <br /><br /> He believes each human being, no matter where they are in their life, has so much power and potential if they only knew how to use it. 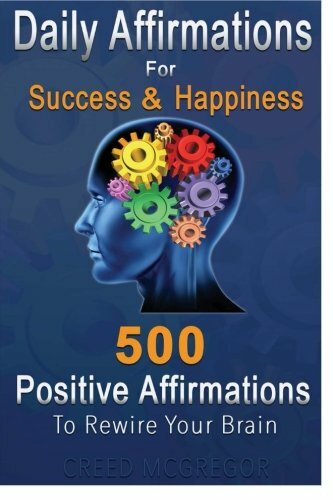 Using cosmic laws and the power of thinking, he believes anyone can overcome anything in life and be the successful, happy, and joyous person they deserve to be.